Do you dream about having organized and happy holidays? Is Christmas in your household always a last-minute rush? What if this is your year to host a truly harmonious and calm Christmas? It’s all about the planning! Preparing for Christmas with the help of a step-by-step plan will make light work of tedious seasonal chores, leaving you with plenty of time, energy, and money to enjoy and celebrate the festive season. Investing little and often in your festive preparations will help keep your holiday budget from spiraling out of control. Breaking holiday preparations down into easy-to-manage steps is a sure way to ensure that stress doesn’t spoil the most magical time of the year. Can you remember what it like feels to go to bed on Christmas Eve – too excited to sleep? What if you could recreate that same magic for your very own family, with some extra magic and sparkle added in for good measure? You won’t even need help from Santa and his elves to make Christmas for you and your family truly unique this year, just be sure to keep the following in mind when planning for the most magical time of the year. Do you remember seeing your first holiday parade as a child? There’s nothing quite like waiting outside among the crowds, with the smell of candy floss and popcorn in the air, as you wait for a glimpse of the first float. Why not get the festive season off to a magical start by taking your kids to see your nearest holiday parade this year? It’s sure to put a smile on the faces of surly teenagers or hard to please adults too – so get planning. There’s no better way to officially start the holiday season than by hosting a party for your kids. You can even put them in charge of the planning to give yourself a slight break! Hosting a kid’s party need not be an expensive event, there are lots of fun activities that you can plan for your kids so that they can celebrate and enjoy themselves with friends and family. Keep an eye out at your local dollar store or store when planning – you can pick up great arts and crafts pieces in seasonal sales to keep costs down. Why not organize a cookie exchange, when partygoers swap and decorate their favorite baked goods? Another magical activity that your kids are bound to love is decorating a gingerbread house – plus they get to eat their artwork. You could even give your party more of a crafty theme and get kids to make their own ornaments for the Christmas tree. Or have the children make their own Christmas cards and wrapping paper, it is a fun-filled activity that is sure to keep them occupied for a few hours. The crafts should be enough of a take-home favor, but you might also want to send creative children home with pencils and a drawing notebook so they can continue their designs at home too. You can also bring the magic of the movies into your living room this season. Hosting a Christmas movie night is a low-cost way to bring the magic of the festive season into your home, when the weather takes a turn for the worse. Yes, Christmas is an incredibly busy time of the year; however, scheduling a kids’ Christmas party into your holiday schedule is sure to get all of you into the holiday spirit. Any busy parent isn’t realistically going to want to prepare breakfast on Christmas morning. While you might want everyone well fed and ready for the rest of the day, all that cooking, preparation time and kitchen clean-up is sure to kill your festive cheer. Why not get the kids involved to help you prepare some magical Christmas breakfast ideas for the entire family to enjoy? So, if you are smart with your planning and baking before the big day, dishing up a hearty breakfast is a no-brainer, and it will allow you to be more relaxed about the timing of lunch. You could also prepare some delicious side dishes that can be prepared in advance and easily reheated to accompany your festive morning feast, such as muffins, fresh fruit and yogurt. So, what are you waiting for? Tie those apron strings and get baking – you will be glad you prepared in advance come Christmas morning. Christmas can seem like an overwhelming season of eating, drinking and making merry – in particular if you aren’t a keen cook. If the thought of stuffing a turkey or chopping vegetables fills you with dread, then why not consider planning an alternative Christmas meal this year? There’s no need to splurge on last minute ingredients if you plan your menus! While turkey remains the bird of choice for most families, you could also consider goose, chicken or even beef for your festive feast this year. The same applies for side dishes and even your desserts – sweet potato and creamed mash are excellent alternatives that can be defrosted and served up alongside your main meal. While homemade apple pie will go down a treat no matter the time of year! If you are hosting a big group of family and friends this year, then consider running your event like a potluck. Get each guest to prepare and bring a dish and enjoy sharing your table. There’s not just Christmas dinner to cater for during the festive period. Unexpected guests, parties and gala dinners all require careful preparation and planning too – especially if you are hosting. For a quick and easy sweet treat, why not offer your guests some eggnog or homemade Christmas cookies, the fact the children have made them will delight. Simpler dishes such as hotpots and soups are ideal for the colder season, plus you can cook them up and freeze for a later date. Be sure to keep your drinks cupboard well stocked up too – holiday punch or mimosas are quick and easy to prepare, and are guaranteed to inject a bit of magic and sophistication into each and every gathering. Careful planning and flexibility is essential to ensuring that your Christmas remains stress-free and relaxing. Using a Christmas light display is a sure-fire way to get the holidays off to a magical start in your household. So, if the thought of adding some sparkle makes you feel more bah-humbug than blissful, why not consider enlisting some expert help this year? Your Christmas lights can be installed professionally, leaving you to focus on the rest of your decorations for the holiday season. Professional installation companies can take the stress out of your home decorating, check out Christmas light installation near Mooresville to find out how you can organize a nightmare-free display for your home. Once the outside of your abode is decorated you can start planning your interior décor. Remember to test all your light bulbs and fuses before you start decorating your tree, and if you are going to get the kids involved too then be sure to fully supervise them at all times. Dazzling decorations are essential if you want to plan a truly magical Christmas, so make sure that you keep safety at the forefront of your mind to avoid spending this year in the emergency room. Holidays mean having fun and spending time with your nearest and dearest. Planning your party games and festive entertainment provides a great ice breaker or after dinner event, and are incredibly simple to organize in advance. You could prepare ‘pin the tail on Rudolph’ a few days in advance – a game that family members of all ages will enjoy. Place some festive objects into a sack and get everyone guessing ‘what’s in Santa’s sack’ is a fun and low-cost game that only requires a few items that you are sure to have at home. A Christmas themed beer pong will guarantee hours of merriment at an adult party! Just have fun and get creative – it is the most wonderful time of the year after all! 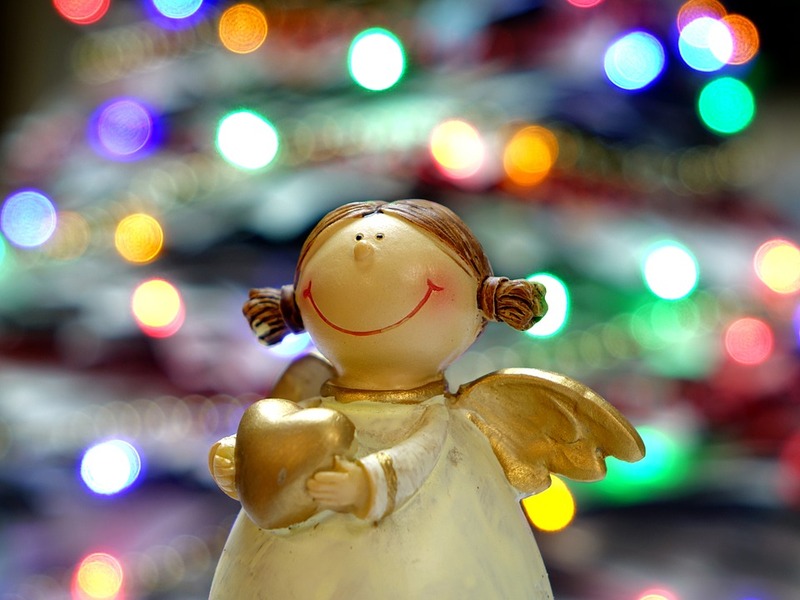 Planning the finer details of Christmas allows you to enjoy the season fully, and it can alleviate any unwanted cash flow stresses or excessive credit card bills if you buy and prepare for Christmas earlier in the year. Whether you’re new to giving hand-crafted gifts or fancy a change this year, starting holiday preparations now will give you plenty of time to enjoy some much-needed rest and recuperation with your nearest and dearest. Plus, organizing your activities and meals weeks in advance means that the rest of your family is sure to enjoy a less-stressed Mom too. From planning a kid’s party, scheduling in a family outing or even preparing your Christmas sides in September, why not turn over a new leaf this year and plan a truly magical Christmas? It will make your holidays much more special and less stressful!